Besides delicious wings, burgers and beer, Quaker Steak & Lube restaurants are known for their distinctive interior decor, where it's not unusual to find a full-size NASCAR race car hanging upside down from the ceiling. The restaurants also reflect the local area, which is why, when it was time to decorate and open the new Quaker Steak & Lube in Lakewood, they wanted bicycles to get in on the action, too. 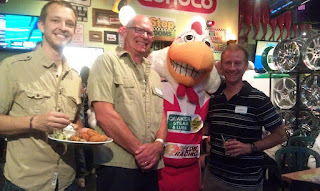 "As we were building the restaurant, we saw a lot of bicyclists in Lakewood, and it was obvious that this is a big bicycling area," said David Miller, VP of Facilities and Development for the chain, when he called us. 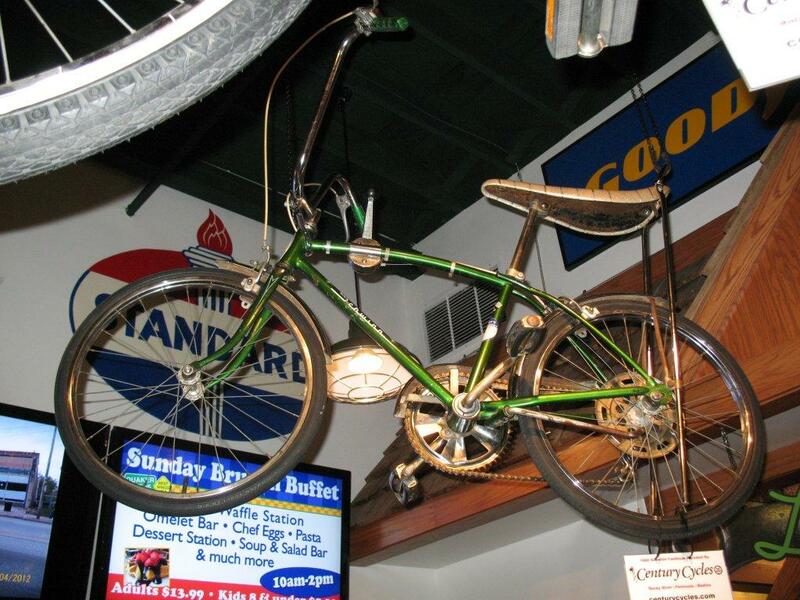 His idea was to display a new bike, as well as a few vintage models to bring back fond memories for diners. 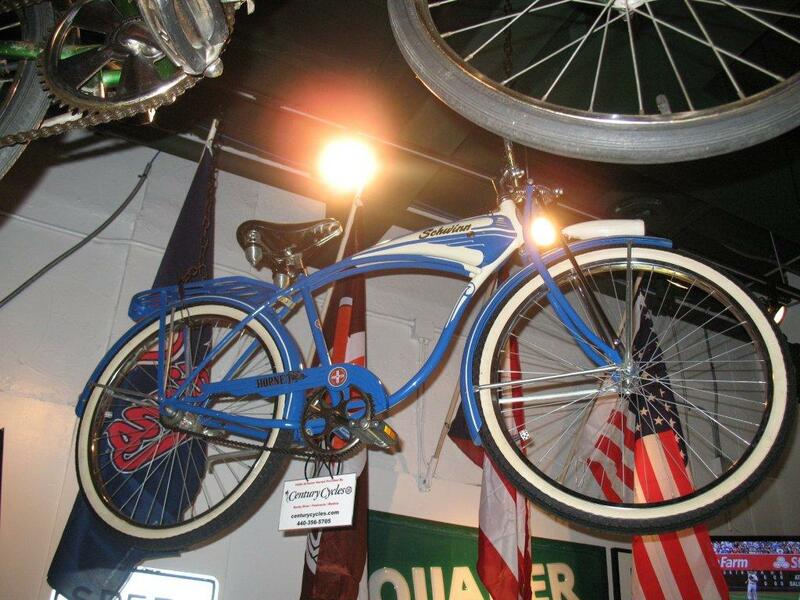 He came to the right place -- Century Cycles owner Scott Cowan has an extensive bicycle collection and was happy to loan bicycles from it, as well as a new bike from the store's inventory. ...and a 1950s Schwinn Hornet cruiser. 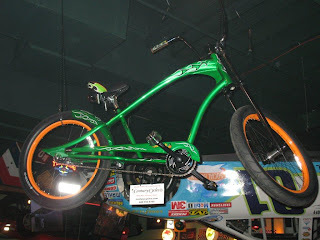 If you enter from the Detroit Avenue door, look up to see a brand-new Electra Rat Fink cruiser bicycle. Our congratulations to Quaker Steak & Lube on the opening of their new Lakewood location -- and our thanks for including us and our bicycles in their fun!